Royal Enfield will finally conduct the online sale of the Classic 500 Pegasus motorcycle in India tomorrow, July 25. The company had originally planned the online sale on July 10, when the website had faced technical difficulties. Owing to this, the sale had been put on hold until the company fixed these issues. 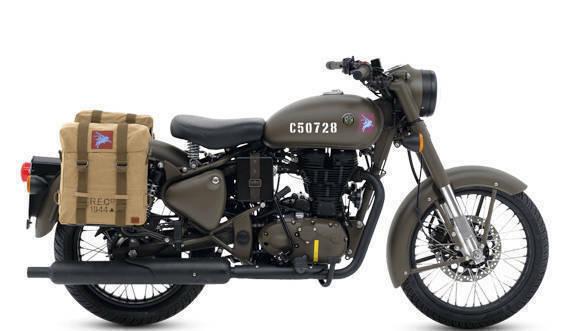 Now, the Royal Enfield Classic 500 Pegasus will go on sale tomorrow at the same website, for Rs 2.49 lakh (on-road, Mumbai). 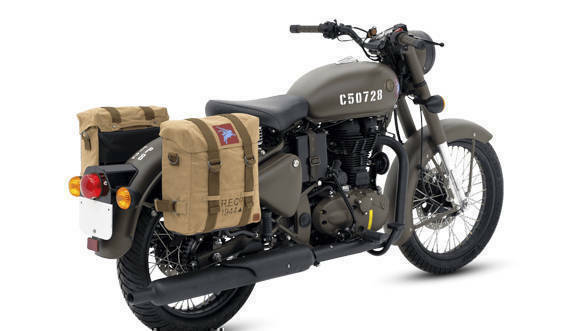 The bookings will begin at 4:00 pm sharp on the Royal Enfield website and will not be available for sale in any authorised dealerships pan India. 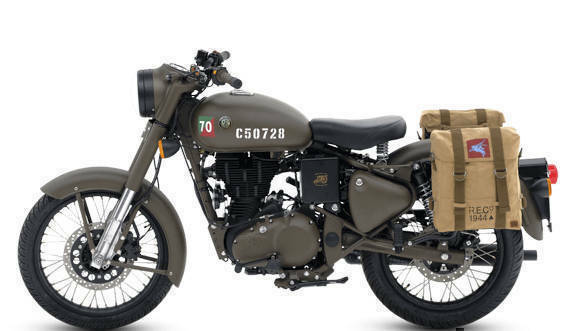 Royal Enfield had previously conducted a similar online sale for the limited edition Himalayan Sleet. The Royal Enfield Classic 500 Pegasus edition is powered by the same 499cc air cooled single cylinder engine that produces 27.5PS power, 41.3Nm of torque and comes mated to a 5-speed gearbox. There will be disc brakes on both front and the rear, with the bike still lacking ABS. The mechanical bits also remain the same with telescopic forks up front and twin shocks at the rear. 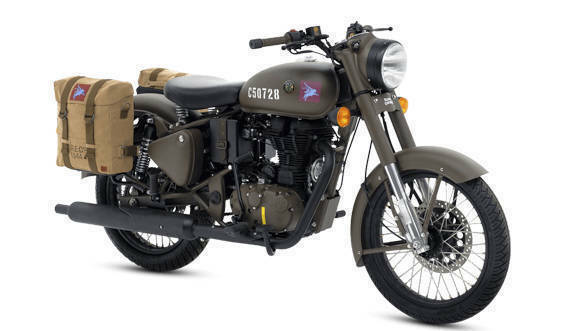 Tags: 2018 Royal Enfield Classic 500 Pegasus online sale July 25 | 2018 Royal Enfield Classic Pegasus | Pegasus limited edition | Royal Enfield | Royal Enfield Classic | Royal Enfield Classic 500 | Royal Enfield Pegasus | Royal Enfield military | Royal Enfield world war bikes | World War II | Royal Enfield Limited Edition | Royal Enfield merchandise | Royal Enfield website | Royal Enfield british | Royal Enfield army | Royal Enfield stickers | Royal Enfield engine | Royal Enfield wd 125 | Royal Enfield collection | Royal Enfield unique | Royal Enfield serial number | Royal Enfield emblem .